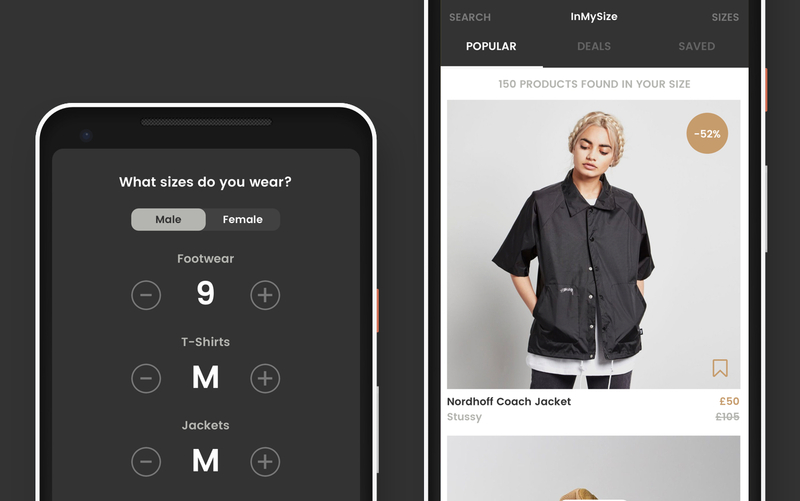 InMySize is a streetwear shopping app that shows users clothing from multiple stores that are currently in stock. Sizes are continuously updated using Node-based crawlers. As a personal project, I designed and built it across web and mobile platforms using React. 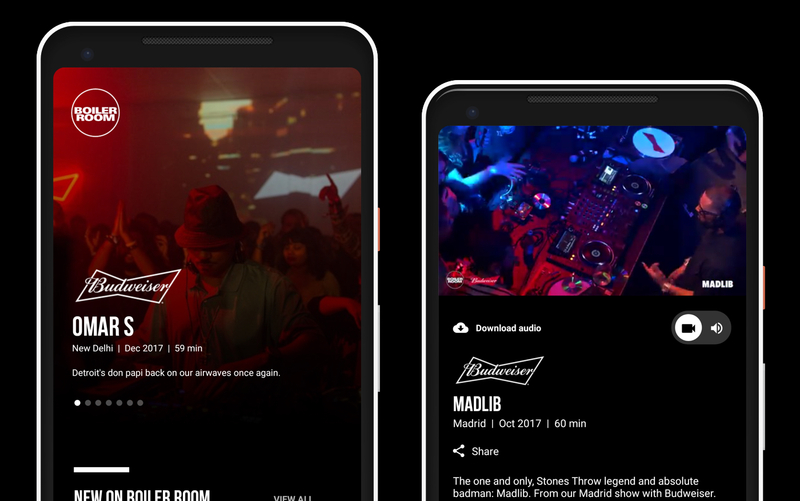 Boiler Room is a music broadcasting platform that streams live events from across the world. I worked on a React-native app for iOS, Android and tvOS to replace the native iOS app. It has approximately 30k regularly active users and has been featured on Apple’s App Store & Google Play. 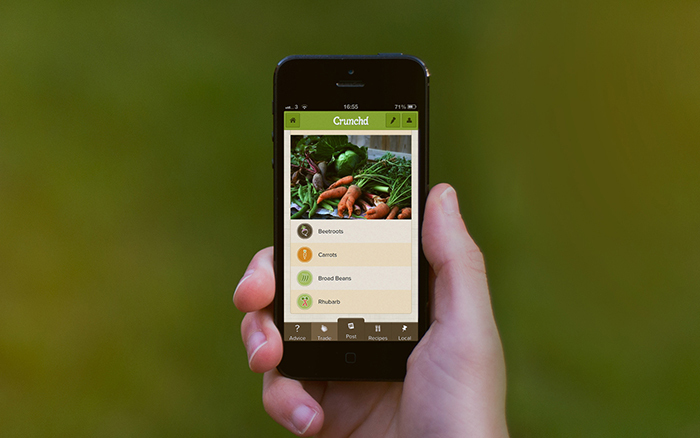 Crunchd is a network for fruit and veg growers to swap tips, and produce, with other green fingered folk in their area. I worked with Synth Media to created a Backbone/PhoneGap powered app for use on Andriod & iOS. 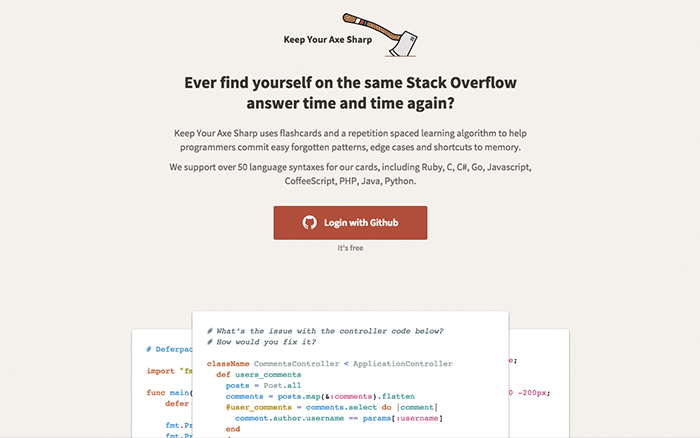 Keep The Axe Sharp uses flashcards and a repetition spaced learning algorithm to help programmers commit easy forgotten patterns, edge cases and shortcuts to memory. The front end is built in es6 React, backed up with an API built in node.js. 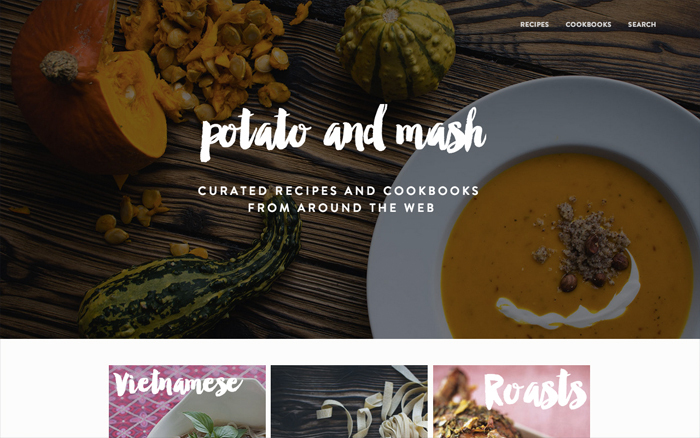 A recipe aggregator, using Cheerio.js to scape recipes from various sites. Which are then classified into categories using the Natural.js, a Natural Language Processing module for Node. Front end was kept simple letting Express.js render the views, with some ajax functionality for changing views.